Luxe glitter paste & pomades for the ultimate makeup medium of reflective texture. 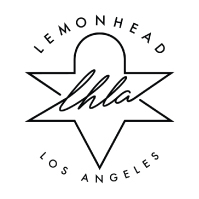 Created by Los Angeles based makeup artist Megan Dugan, LEMONHEAD.LA launched at Coachella in 2016 creating an immediate cult following from celebrity makeup artist, hair stylist and it-girl squads. Each shade is handcrafted in small batches offering a unique blend of visionary ingenuity from vegan-based formulas to a reflective cocktail in color blends and shapes. From the coveted rose-gold paste, MULHOLLAND for red carpet ingenues to the blood-red shimmering paste, ROOSEVELT for Grammy's music icons, shimmering textured eye makeup is all the rage. SPACEPASTE a glitter gel makeup, ideal for eye, face & lip applications and SPACEJAM a glitter pomade, ideal for hair & body applications. Easy to use, gentle to wear & designed to stay put, creativity with high-impact makes a statement with LEMONHEAD.LA.